Cold canapes delivery or Full-service catering? 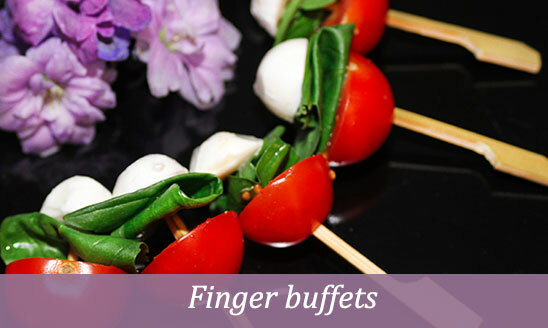 We've designed our cold canapes menus with flexibility in mind. If you want to serve the food yourself, for instance, we'll have your cold canapes delivery. Freshly made and ready to present!. If you're hoping to make more of an impression, on the other hand, our professional butlers can take care of everything. The best approach for you depends on the style of your event, the nature of your venue, and of course your budget. At corporate receptions the aim is to go all out to impress your guests, so an experienced team of waiting staff is crucial. Our professional butlers have have served plenty of top-tier corporate clients throughout London. They know what's expected and deliver even more. When appearances are everything, the importance of a catering team skilled in presentation and pacing is not to be overlooked. Not every corporate get-together is for the purpose of impressing clients. Sometimes you just want to reward your employees or chill out with colleagues. When all you need is some great-tasting food delivered fresh to your venue. 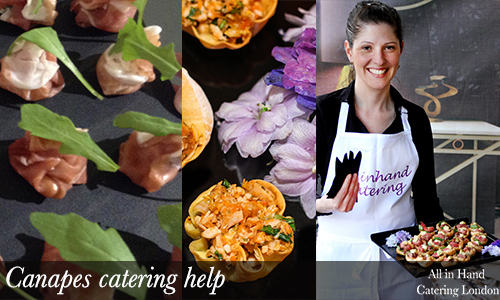 Our cold canapes delivery, only service, is the easiest and most convenient option there is. Requiring just 48 hours notice in most cases, we're also well equipped to cater for relatively impromptu affairs, whether you're celebrating a deal or marking an occasion. Having our staff on hand helps to keep everything running smoothly. From setting up and cleaning away to pacing your event and receiving guests. 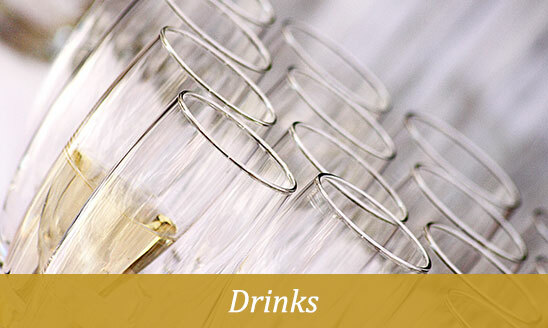 What's more, the All in Hand team have experienced a wide range of venues and clientele—so whether you're holding a private event in a boutique gallery, stately home, open-air garden, or practically anywhere else, our staff will know exactly what to do.